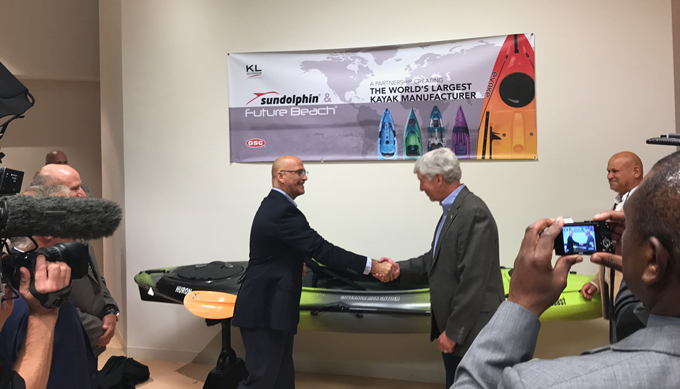 New Water Capital portfolio company KL Outdoor/GSC Technologies will base its corporate and manufacturing operations in Muskegon, generating 153 jobs and a total $9.2 million in new investment in the region, company CEO Chuck Smith announced this week, alongside Michigan Gov. Rick Snyder and officials representing state and local economic development agencies. 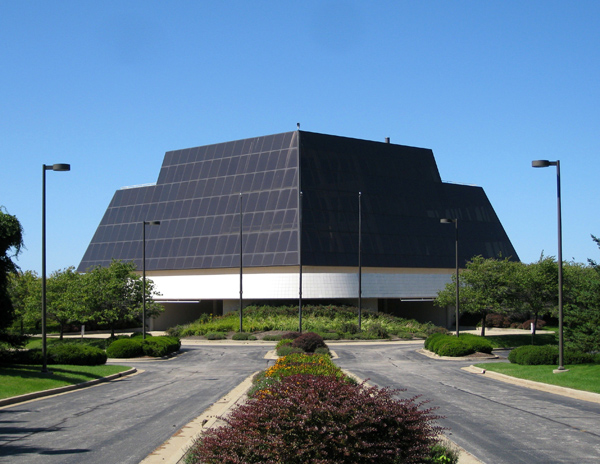 The company’s new global headquarters will be located in Muskegon’s iconic pyramid-shaped Terrace Point office building at 700 Terrace Point Drive. The KLO/GSC expansion project received a $765,000 Michigan Business Development Program performance-based grant from the Michigan Strategic Fund. The City of Muskegon also has pledged its support for the project with a 12-year tax abatement, valued at $69,000. Workforce development agency West Michigan Works! has offered hiring and training assistance. Individuals interested in careers with KLO Holdings should visit http://kloutdoor.com/. Muskegon Area First worked with the merged company in collaboration with the MEDC to support KLO/GSC in expanding locally rather than relocating to another state or country. “The company’s 30+ year history, combined with a great workforce and ideal coastal location on Lake Michigan made this the perfect choice for the company’s headquarters” said Ed Garner, president and CEO at Muskegon Area First. Affiliates of New Water Capital completed significant investments in KL Outdoor in December 2016 and GSC Technologies on April 7, 2017. The two companies announced their merger in April, creating the world’s largest kayak-maker. The combined company manufactures kayaks, stand-up paddle boards, canoes, paddle boats, hunting blinds, sleds, storage products, outdoor furniture and portable restrooms under the Sun Dolphin, Future Beach, Evoke, Extent, Equinox, Patriot, Heritage, Viper and Third Coast brands (all related to the company’s watersports segment), Terrain (outdoor hunting products) and Five Peaks (portable restroom products) brands.